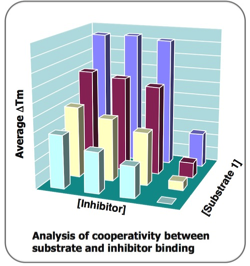 Thermofluor can detect multiple binding events and cooperativity in protein ligand binding interactions. 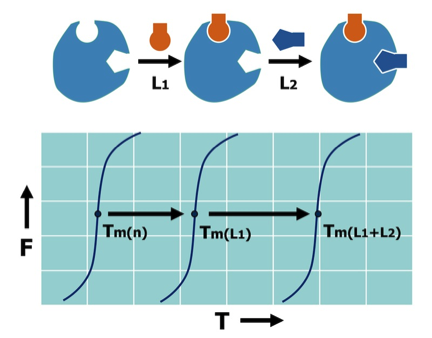 Thermofluor can be an efficient means to discriminate the ability of ligands to induce additional binding events (e.g. for nuclear hormone receptor interactions).